In the vineyard, devastating diseases and pests adversely affect wine grape production and cause enormous economic damages annually. Unfortunately, traditional treatments incur additional costs for growers and are largely inefficient. Sensor technology, however, is changing that. Based on scientific observation, measurement, and response, wireless sensor networks enable many new opportunities and innovations in the field of Predictive systems. With these, pest prevention and irrigation can be administered when necessary. The end result is improved management, better grape quality, and lower costs. Dolphin Engineering, hosted at the Startup Incubator of the University of Lugano in Switzerland, is active in precision agriculture. The young company offers services that monitor the microclimate conditions of crops to predict plant diseases. Using a dedicated wireless sensor network based on Libelium’s Waspmote sensor platform and complex prediction algorithms, Dolphin Engineering’s PreDiVine system can predict the evolution of some of the most serious diseases, and also suggest “just-in-time” and targeted treatments needed to keep vineyards healthy and profitable. PreDiVine is the result of a Smart Vineyard R&D project spanning nearly three years and funded by the Commission of Technology and Innovation (CTI) of the Swiss Confederation. Dolphin Engineering founders, Mauro Prevostini and Antonio Taddeo, selected Libelium’s Waspmote sensor platform because they were familiar with Arduino-based electronics. In fact, working on projects to train high school students preparing engineering careers at the University of Lugano, they discovered Libelium and Waspmote Smart Agriculture. 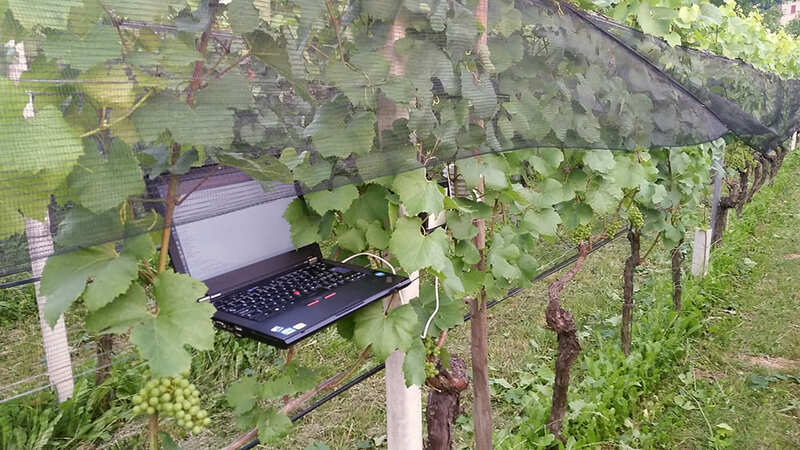 In essence, PreDiVine is a Decision Support System (DSS) that monitors microclimate conditions in the vineyard to predict the spread of grapevine pests and diseases. Among the microclimate conditions it monitors are air temperature, humidity, leaf wetness and rainfall. For continuous improvement of vineyard management policies and practices, the PreDiVine DSS presents a web-based Adaptive Management framework. The system is dynamic, learning from the outcomes of actual conditions and in-field activities and observations. Farmers and growers can adapt their actions to the current situation in the field by means of a dialogue between the grower and the crop. 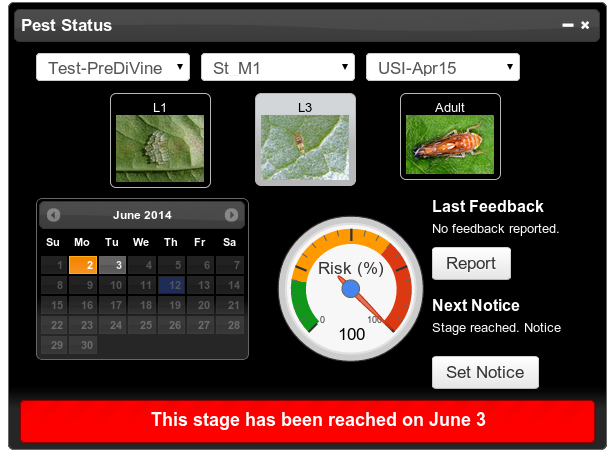 PreDiVine generates and sends notification messages with predicted dates of phenological events, to enable and organize monitoring activities and allow the growers to prepare insecticide applications. The North American leafhopper insect — Scaphoideus titanus — is the vector for Flavescence dorée (FD), one of the most destructive bacterial diseases of grape vines, also known as yellows disease. In Switzerland, if an FD cluster occurs (i.e. 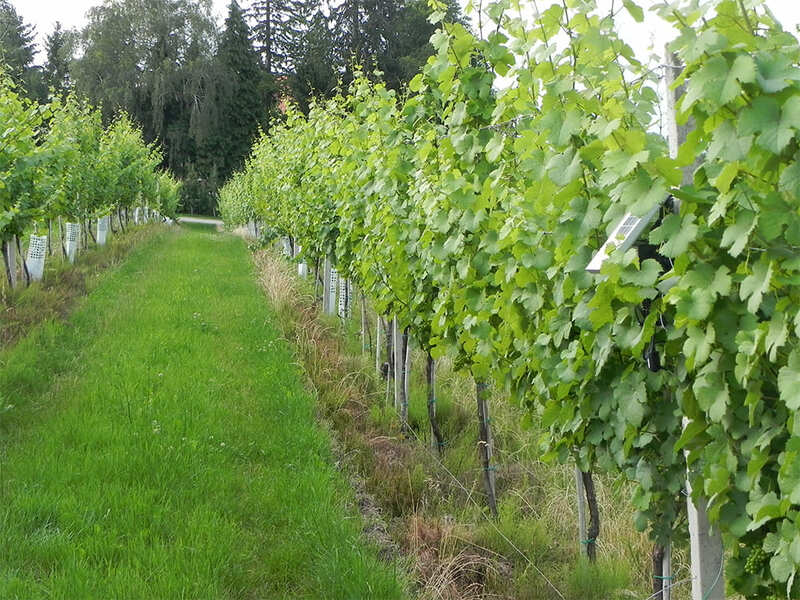 more than five vines per 100m2 are affected), it is mandatory to notify the Cantonal Plant Protection Service. 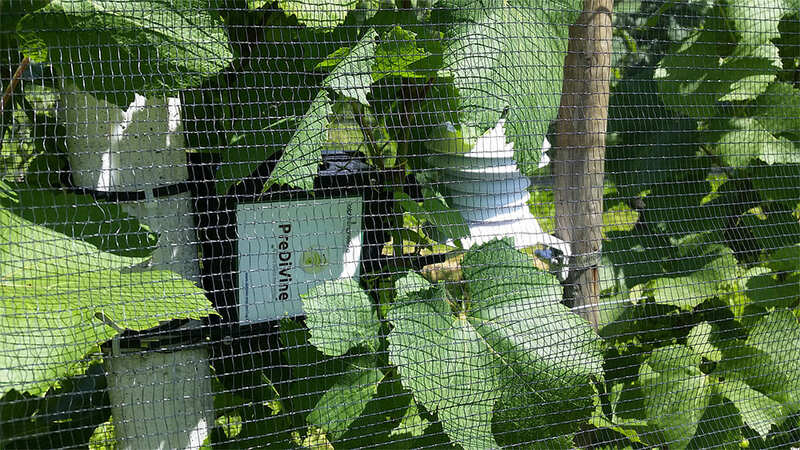 An initial installation of PreDiVine is located in the canton of Ticino in southern Switzerland, where severe outbreaks of Flavescence dorée have occurred and the control of the FD vector is mandatory. After the success in Ticino, PreDiVine has been validated in other wine growing regions, and is now deployed in the Romandie region of western Switzerland, in northern Italy (Veneto), and in France. 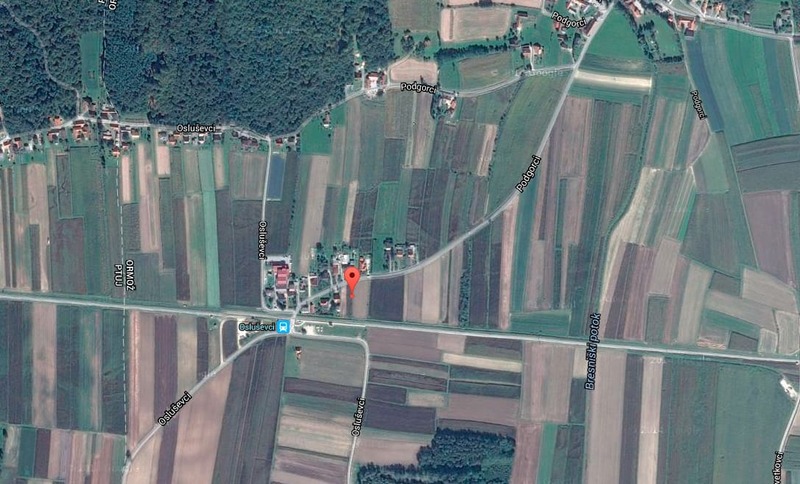 The system has also been validated in Piemonte and Tuscany. In these areas the wine growers can monitor the health of their vineyards continuously. Waspmote Smart Agriculture nodes monitor multiple environmental parameters, and transmit the sensor data to a data center equipped with sets of algorithms, where the system stores and elaborates the data and provides predictions as results. End users can read the results by accessing the PreDiVine system on a computer, a tablet, or a smartphone. Looking ahead, Dolphin Engineering is working to extend the capabilities of the system, and has partnered with an important international consortium to provide risk predictions for other vineyard diseases like downy- and powdery mildew, both of which are now integrated in the PreDiVine DSS. Because the PreDiVine system combines scientific research with management activities, the company has also established important relationships with renowned international research institutions and universities, such as Agroscope, University of Lugano, University of Milan, University of Padova, and L’institut Français de la Vigne et du Vin. In the near-term, Dolphin Engineering is interested in integrating Waspmote with LoRa extreme long-range radio technology. 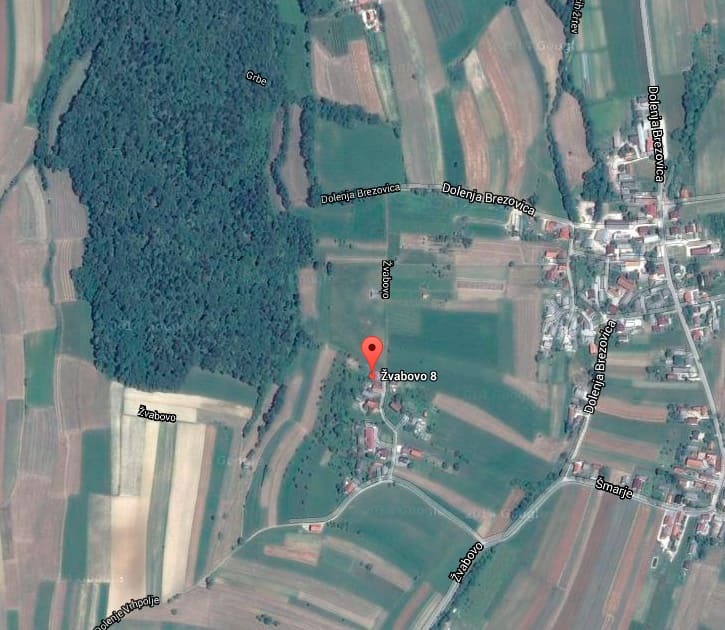 In Slovenia, Elmitel specializes in wireless sensor networks and has developed new viticulture solutions based on Libelium Waspmote Plug & Sense! encapsulated sensor nodes. It so happens that the Elmitel team is a group of young engineers, who are also agronomists, sommeliers and wine growers. When it comes to wine, the company is well situated in the heart of one of the world’s oldest historic wine producing regions. This proximity brought them closer to the problem of geographic diversity in farming and viticulture. It also influenced their approach of bringing modern “smart” sensor-and-Cloud technology within reach of non-technical users, including the farmers and vintners of traditional wine producing regions in 10 countries. 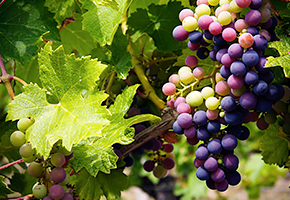 Elmitel has developed a Cloud platform core, called Elmitel Sensing, to create a Waspmote-based vineyard monitoring solution to cover all three parts of a sensor network: data acquisition, storage, and processing. The solution adds a unique functionality to Waspmote Plug & Sense! nodes that simplifies deployment, and so reduces network setup costs, making it attractive for non-technical users and small growers. The Elmitel Sensing Cloud platform allows custom applications on top of the measured data. 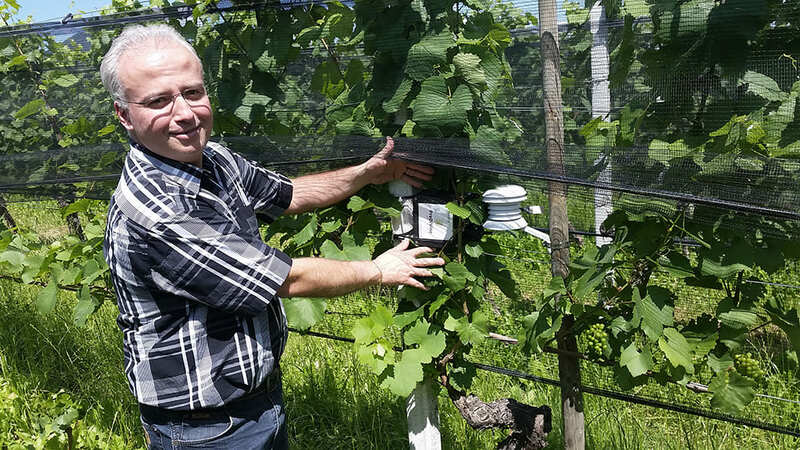 One spin-off application for the viticulture market, called eVineyard, effectively combines Elmitel Sensing and Libelium technology for a complete Cloud-based solution for managing vineyards that incorporates the easy node deployment feature. With the environmental data collected and measured by Waspmote Plug & Sense! nodes, including temperature and soil humidity, the Elmitel’s eViti application can advise growers as to the best time to spray the vineyard against different diseases that occur in their area. Getting up and running is easy. A Waspmote Plug & Sense! sensor user can connect to the computer via USB, follow a simple set of instructions, and the node is configured and ready to install. With Elmitel’s eVineyard and eViti solutions, this setup is done without the need for programming knowledge, or any installation of software development tools (IDE). eVineyard generates, connects and compiles the sensor node code in the Cloud, and assists the user in uploading the software to the node via a simple setup wizard accessed from a laptop computer. “Constant monitoring of vineyards is critical to ensure that disease doesn’t appear, If you can see it on the leaves, it is already too late,” said Matic Šerc, founder of Elmitel’s eVineyard. The benefits for farmers are multiple, including savings of not only time and money, but also savings related to the environment. Using sensor technology means that toxic spraying must occur only when absolutely necessary. What’s more, eVineyard alerts farmers and vintners in case of dry soil and other conditions that may require attention or human intervention. 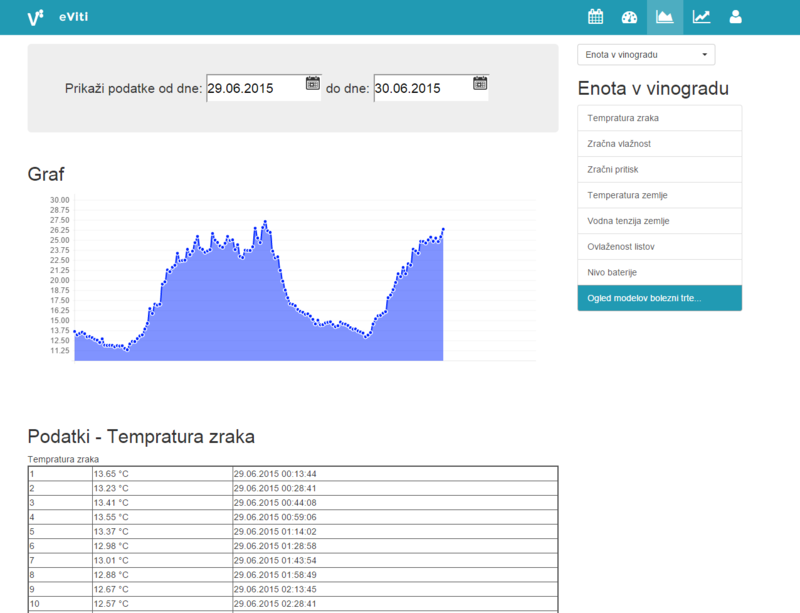 Users can create maintenance and weather reports and also log in directly from the vineyard. Near Podgorci, the eVineyard system is deployed in a grapevine nursery where young plants require close monitoring with regard to watering to ensure they get off to a good start. Among its many indicators, the system is configured to send an alarm when the soil is getting dry and when watering schedules need revamping. 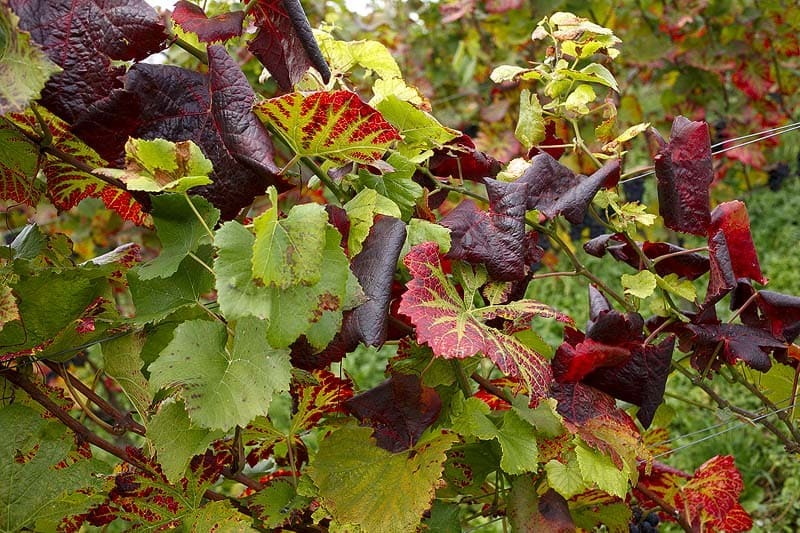 Spray-timing predictions are also used as a means for treating the diseases of the vine. 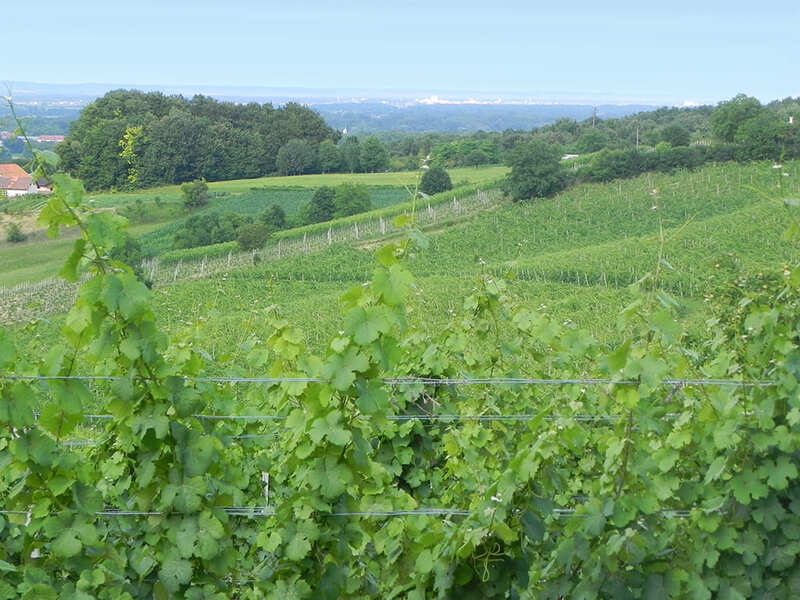 In this location, eVineyard is installed in a recently planted vineyard that was formerly a cultivated field. The geographical diversity of this area creates a variety of climate conditions. 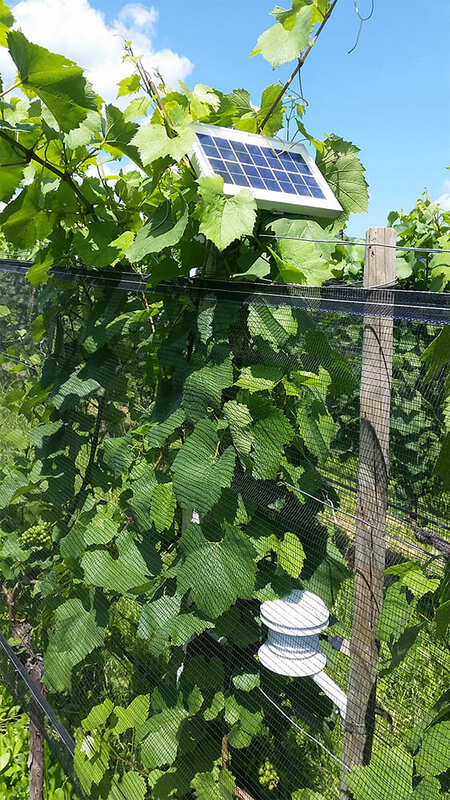 The vineyard is near the woods, so the sensor nodes are used to guard against disease outbreak prediction and to provide optimal spray timing, according to the vineyard’s micro-location. Elmitel’s eViti vineyard decision support system is helping the grower avoid problems with Oidium, or powdery mildew, once present in the location in previous years. Wine growing regions of Slovenia. For more information about Waspmote Plug and Sense! in vineyards, click here. Read more about Libelium sensor product lines in the Waspmote, Plug & Sense! and Meshlium websites. If you are interested in purchase information, please contact the Commercial Department.